“I wanted to break the World Record. That was the plan from the beginning of the Season. And, I was aware the biggest chance would be at Monaco, due to weather, crowds and the whole environment. I knew I was running fast splits. But, I was not worried. I felt strong during the race. I was thinking, maybe I can break 8:50. But, not at all was I dreaming about 8:44! And, this time still could be improved I am sure. Maybe, my next target could be to run under 8:40. The plan worked well. It is a great feeling, that I brought back to Kenya the Steeplechase World Record. I am very proud of it!” Beatrice Chepkoech summed up ecstatically after shattering the previous record by more than 8 seconds. 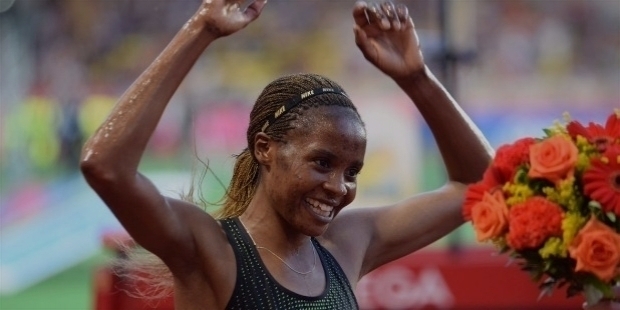 Chepkoech became the first Kenyan woman to hold the 3000m steeplechase world record clocking 8:44.32. 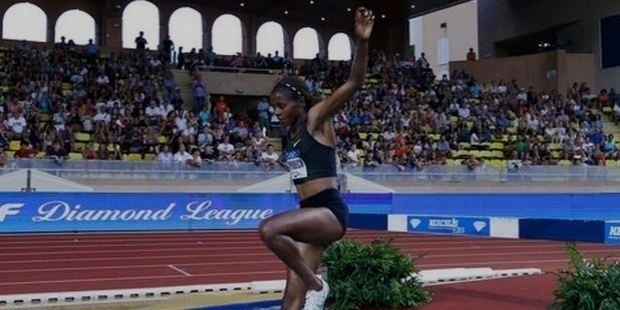 Beatrice’s superb world record-breaking performance in the 2018 IAAF Diamond League at Monaco on the 20th July 2018 was truly a class in its own. She dominated most of the race leading from the front. Swift like a gazelle, Chepkoech’s strong striding in the final lap made the spectators stand, clapping and shouting, as she raised hands in jubilation smiling with pride with a world record finish in 8:44.32. It is interesting to note that Beatrice Chepkoech had never won a global medal before the race of her life. At the 2018 IAAF Diamond League in Monaco, the 27-year-old Kenyan came as the hot favourite clocking 8:59.36, the fastest time of the Season. Many will recollect how Chepkoech had missed a water jump during the 2017 World Championship final. She had to run back to take the water jump. She lost her rhythm and precious time in that race. It was also a learning an important lesson for Beatrice. All the while, she was training hard. At the 2018 Commonwealth Games in Gold Coast, Australia, Chepkoech won the Silver medal in 1500m final. As soon as the gun was fired, Chipkoech was on the heels of the pacer. By the first 1000m, she has shattered the field leading them by nearly 50m ahead. None of the other competitors could match her pace, as she glided over the hurdles and water jump. Chepkoech knew, she was well within the record time. With a child-like innocence, her face lit up in smiles as she lifted both her hands in triumph to cross the finish line. It was truly world-class performance of the day! Courtney Frerichs of the United States finished second in 9:00.85, creating a new North American record. The 2015 World Champion Kenyan athlete Hyvin Kiyeng finished third in 9:04.41. Beatrice Chepkoech smashed the 3000m steeplechase World Record in great style and panache clocking 8:44.32. Soon after the race, a delighted Beatrice Chepkoech was in joy jumping, smiling and running to acknowledge the crowds’ reaction and adulation. She posed for photographers with the electronic board with her new world record to go down in the history books. The previous record was held by Ruth Jebet of Bahrain, who had won the event at the 2016 IAAF Diamond League in Paris, clocking 8:58.78. 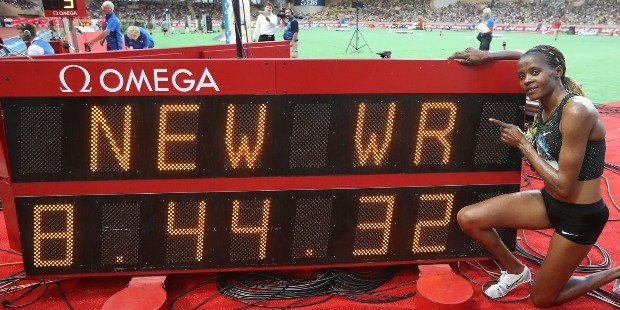 Chepkoech clipped nearly 14 seconds from the previous record. Beatrice Chepkoech will go down in the history books as the first-ever woman to run a sub 8:50 3000m steeplechase. 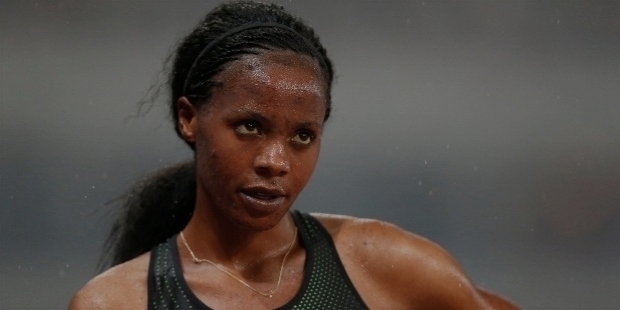 Beatrice Chepkoech Sitonik was born in Kericho, Kenya on the 6th of July 1991. Beatrice began her career as a road runner in 2014. She was among the top three in several races in Germany and the Netherlands. In 2015, she switched to track running. She clocked 4:03.28 to win the 1500m event at the KBC Night of Athletics in Belgium. She was the fifth fastest Kenyan. 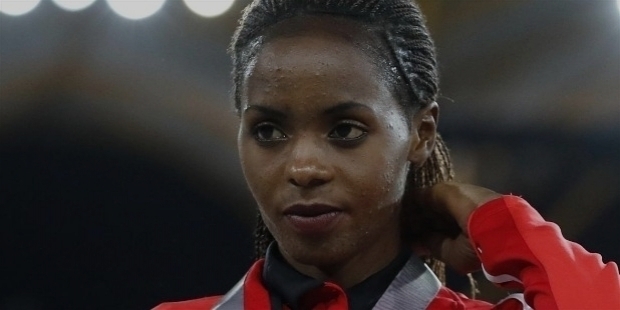 Chepkoech won a Bronze medal at the 2015 African Games. Beatrice had tried her hands in the 2000m steeplechase at the ISTAF Berlin to end her 2015 Season. She loved the adrenalin, which steeplechase provided. At the 2016 IAAF Diamond League circuit, Chepkoech clocked 9:17.41 for the fourth spot at the Prefontaine Classic. She won the Silver medal at the 2016 IAAF Diamond League in Stockholm. 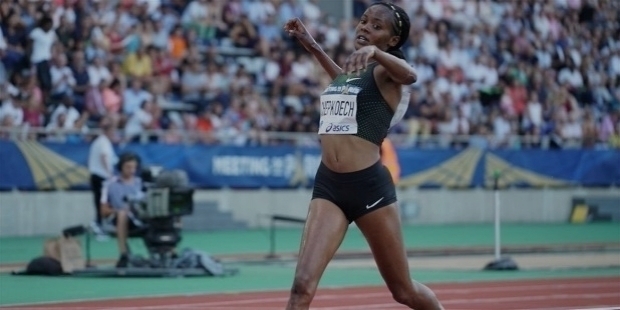 Chepkoech entered the 2016 Rio Olympics and was ranked fifth in the world. She finished fourth in the 2016 Rio Olympics and 2017 London World Championships. 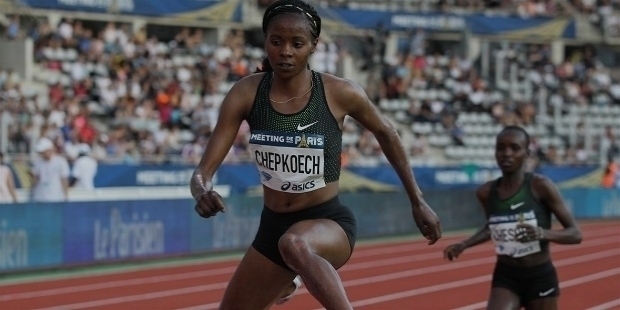 In June 2018, Chepkoech had clocked 8:59.36 in Paris.